Previously I wrote an article explaining the underlying maths behind polynomial regression. In this post I will use Python libraries to regress a simple dataset to see polynomial regression in action. If you want to fully understand the internals I recommend you read my previous post. Polynomial regression is a method of finding an nth degree polynomial function which is the closest approximation of our data points. Simply put, If my simple line doesn’t fit my data set, I will go on and try to find a quadratic, a cubic or a much higher degree function which might fit. How to find which degree to use is a decision which depends completely on the data at hand. A quick glance at a simple scatter plot can reveal a lot about the curvilinear relationship between the data points. 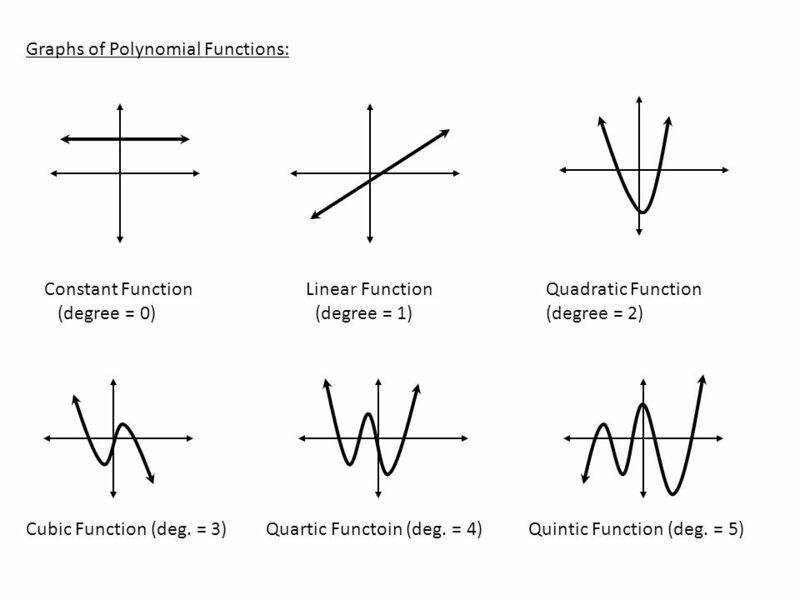 Take a look at the below graphs of different degrees of polynomial, this is important because this is what we are trying to fit our data point into. 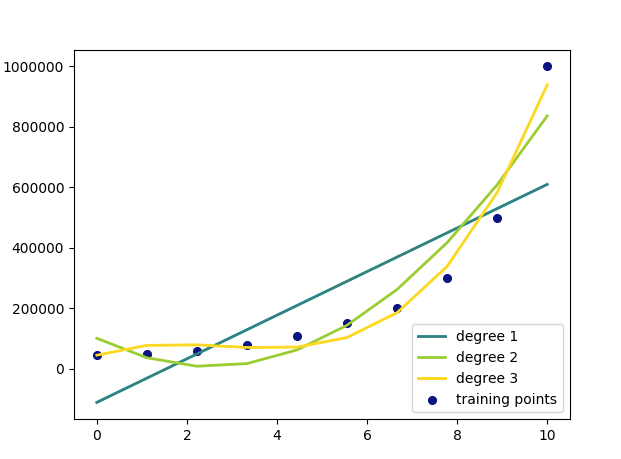 The above code gives a graph which shows our regression lines for each degrees compared with each other. 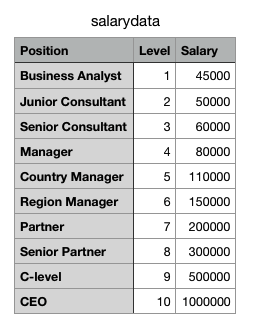 Though my 3rd degree polynomial is much better fit for my dataset, I know that a quadratic function (degree 2) is the most logical choice because at no point will the salary start coming down as we level up, which is a case with a polynomial of degree 3 or more. thanks for the nice graph.. I remember seeing this example in one of the Udemy courses. My question is: why you want to choose the degree as 2 and not 3? p.s. and btw, its great the way you added all 3 models in 1 graph..
Hi Abhishek, a cubic polynomial will start becoming negative after some time, the higher the degree more frequent will be the change in direction of the curve. But a linear (Degree 1) or quadratic (Degree 2) will always move in one direction weather negative or positive. This is why I chose degree 2. If it was degree 3 then at some point in X axis, Y value will be downward sloping.